Once in a while a product or brand come along and blows everything previously thought brilliant out of the water. 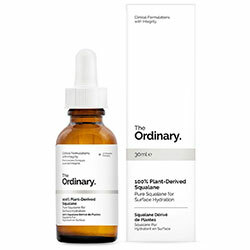 The Ordinary is one of them! 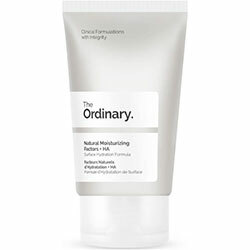 The Ordinary is part of the brand DECIEM; an umbrella company for ‘advanced functional beauty’. As someone who has battled all my life with getting the right skincare for my sensitive skin, I was weary of a brand that is…well cheap! I’ve literally tried most premium brands from Elemis to Clarins with A LOT in between and have never really seen any major results. The great thing about the brand is the ‘Regime Guide’ on their website. You can find everything you need without having to visit the shops and get advice. Choose your skin ‘type’ then you either buy from their website OR if you’re like me and are impatient, ASOS stock most of their products and with their Primer service I had them in my mitts the very next day. 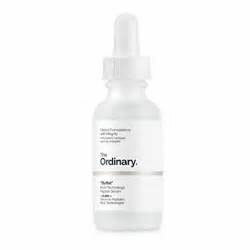 I also, very importantly, use at least a factor SPF 30 primer every day – your skin will be sensitive to the sun after using Hyaluronic Acid. All of this cost my less than £40!!! That’s normally what I spend on one serum…I have seen a huge difference in my skin after just 7 days of use and have literally been telling EVERYONE to buy their products. And of course, I’ll be adding some to my kit too. 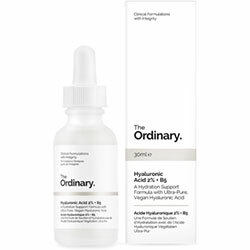 All DECIEM products, across all brands including The Ordinary, are free of parabens, sulphates, mineral oil, methylchloroisothiazolinone, methylisothiazolinone, animal oils, benzalkonium chloride, coal tar dyes, formaldehyde, mercury, oxybenzone. If you have questions about any ingredient that we use, please reach out to us and our lab will provide a response. DECIEM does not test on animals and does not pay others to do so. For this reason, none of our brands are sold in mainland China since such sales require animal testing for registration purposes.